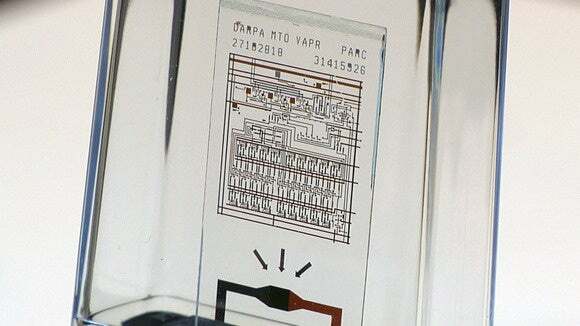 Engineers at Xerox PARC have developed a chip that will self-destruct upon command, providing a potentially revolutionary tool for high-security applications. The chip, developed as part of DARPA’s vanishing programmable resources project, could be used to store data such as encryption keys and, on command, shatter into thousands of pieces so small, reconstruction is impossible. It was demonstrated at DARPA’s Wait, What? event in St. Louis on Thursday. The result is a chip based on Gorilla Glass, the Corning-produced tough glass used in the displays of numerous smartphones. A chip fabricated on a glass substrate shortly before destruction during a demonstration at DARPA's Wait, What? conference in St. Louis, Missouri, on Sept. 10, 2015. In a demonstration on Thursday, the glass was stressed to breaking point by heat. 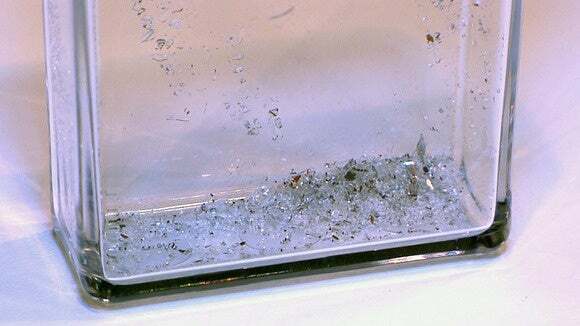 When a circuit was switched on, a small resistor heated up and the glass shattered into thousands of pieces. Even after it broke up, stress remained in the fragments and they continued breaking into even smaller pieces for tens of seconds afterwards. 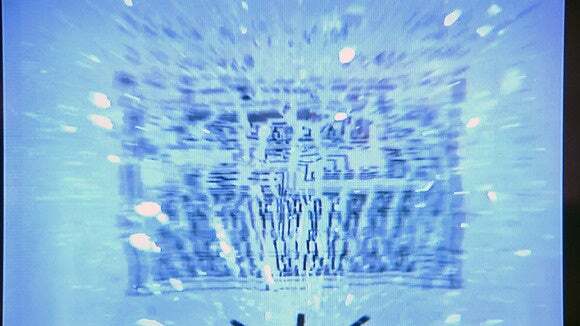 Shards of glass is all that's left of a self-destructing chip during a demonstration at DARPA's Wait, What? conference in St. Louis, Missouri, on Sept. 10, 2015. The chip presents an exciting prospect in applications such as computer security. If a chip fabricated on glass was used to store an encryption key, the destruction of the chip could assure complete destruction of the key in an instant -- perhaps as part of a routine process or when the key falls into the wrong hands. In the demo in St. Louis, the self-destruct circuit was triggered by a photo-diode, which switched on the circuit when a bright light fell on it. In this occasion, the light was provided by a laser, but the trigger could be anything from a mechanical switch to a radio signal. Here's the demo. Blink and you'll miss it.